Simply Southern has come to Orlando. Charming tees, unique gifts, and prints for everyone. You’ll love the cute designs and patterns. Bring home a bit of southern charm today. With inspirational and timeless messages Simply Southern will have you saying Hello Y’all! 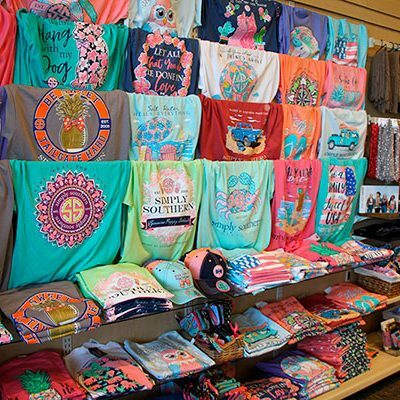 Simply Southern T-shirts, Mobile phone holders, keychains, buttons accessories and more are available at Ryan’s Hallmark Shops. Stop by and find your southern charm. You can also browse our selection of DaVinci Beads, Ty Plush Beanie Boos, Jim Shore Hearwood Creek and Tervis Drinkware. You’ll love this look. Bold and fun patterns and flowy cotton shirts. Perfect for those warm Southern days and relaxing at home or heading out. Sure, to some, it sounds like a no-brainer but when its time to “dress to impress” pressure is on! That’s why these tees will keep you coming back for more! 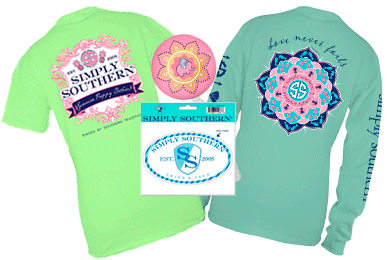 Simply Southern features bold but whimsical and colorful designs on every t-shirt, accessory or button. Each expresses the style of “You only live once” and is designed to be worn in the playful nature they intend. Protect that expensive mobile phone with our collection of Simply Southern mobile phone wristlet. 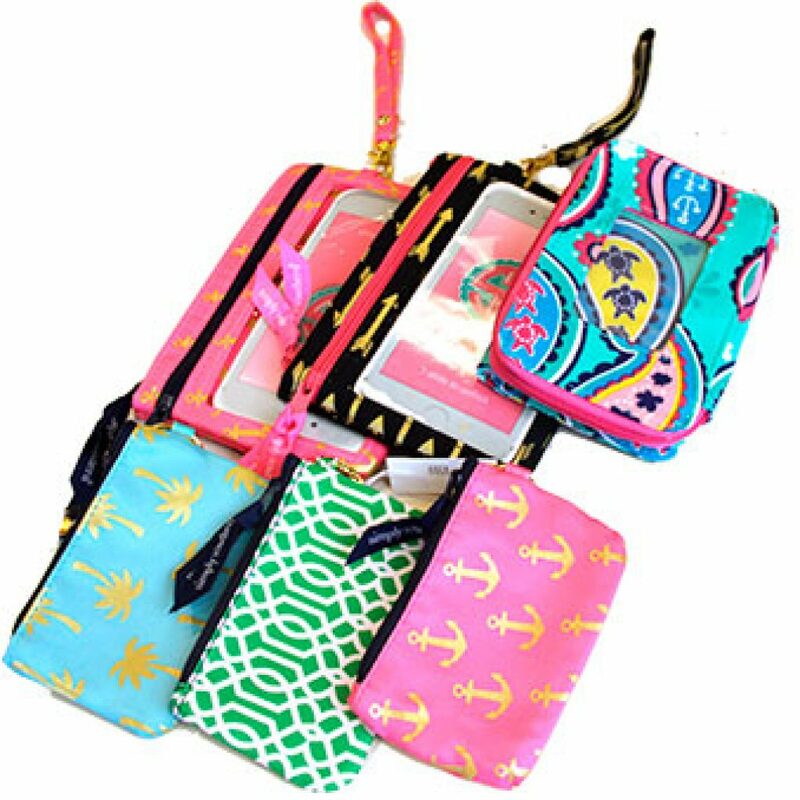 This wristlet is the perfect little carrying case for your phone and wallet. Perfectly pink, charmingly quaint and sure to look good on your wrist and on the go. It also protects those expensive smartphones we can’t seem to find ourselves without. We know you can’t wait to get your hands on one.